A group of Israeli settlers cornered and assaulted two young Palestinian men from the Beit Hanina neighborhood of Jerusalem on Friday night as they drove past the nearby illegal Israeli settlement of Pisgat Zeev. A family member told Ma'an that a group of settlers armed with clubs blocked their vehicle and attacked 18-year-old Yazan Hani Ramadan and 18-year-old Majd Zaki Ramadan as they were driving just before midnight. The young men's uncle Amjad Ramadan told a Ma'an reporter that the two young men left the Wadi al-Jouz neighborhood near the old city of Jerusalem around 11 p.m. in order to return to their homes in Beit Hanina. As they passed a mall near the Pisgat Zeev settlement in East Jerusalem, a vehicle obstructed their car and two other vehicles closed their way from behind. Fifteen settlers then stepped out and started to beat the two young Palestinians. "They attacked them while they were inside the car, then again while they were outside, causing bruises and fractures all over their bodies," he said. "After they fainted, the settlers fled the scene and passersby called an ambulance which evacuated the victims to Hadassah Ein Kerem Hospital," he added. United Nations Office for the Coordination of Humanitarian Affairs in the occupied Palestinian territories (OCHA) warned of the seriousness of the Israeli occupation’s recent practices targeting Palestinian children. The UN said in its monthly report issued on Friday that the clashes that took place during demonstrations and military operations with Israeli forces across the West Bank caused the injury of 38 Palestinians, including ten children, this week. The report said that the process of targeting the children has accelerated pointing out that "six Palestinian children and one adult were injured in four clashes with Israeli forces that erupted during Israeli military operations in the village of Anata and in Al Ezariya (both in Jerusalem), in the village of Silwad (Ramallah), and near Ayda Refugee Camp (Bethlehem)." It added: "The injury of Palestinian children in clashes with Israeli forces has become a key protection concern during 2013, when the number of such injuries more than doubled compared to the previous year - from 526 to 1,185-." OCHA said this increase in number of child injuries could be attributed to the increase in number of demonstrations. It added: "Also of concern during 2013, has been the increase in the proportion of children injured by rubber-coated metal bullets; however, the proportion of those injured by tear gas inhalation has decreased." OCHA monitored four settler-related incidents that have led to Palestinian injuries or property damage, while one incident led to casualties among the settlers. It added that 36 Palestinian families, comprising 220 people, half of them children, from the Bedouin communities of Ibziq and Khirbet Yarza (Tubas), were affected by Israeli military training in the area close to their residential structures. During the exercise, Israeli forces fired tank shells and live ammunition, as a result of which the families had no alternative but to confine themselves to their homes for about 10 hours. In 2013, OCHA has recorded 37 incidents of evacuation of Palestinians from their homes or localities in the West Bank by Israeli forces to make way for Israeli military training. "As a result, a total of 343 households comprising over 1,700 persons, were temporarily displaced; some of them on several occasions." 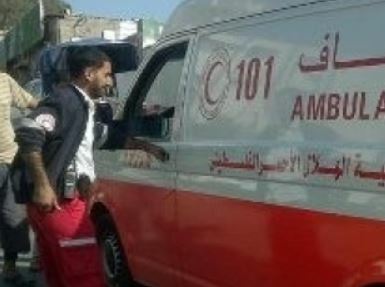 In the Gaza Strip, the report stated that the Israeli airstrikes against various targets across Gaza resulted in the injury of five Palestinian civilians, including four children and one woman. "An additional airstrike carried out on 19 January, targeting an alleged member of an armed group travelling on a motorcycle in Jabaliya, resulted in injury to the man, together with an 11-year-old bystander boy." UN reported that the Rafah crossing remained closed during the entire reporting period, while approximately 5,000 people are currently waiting to leave Gaza, including medical and other humanitarian cases. The weekly anti-apartheid wall and settlement marches continued in the West Bank on Friday, despite the repressive actions by the Israeli occupation forces (IOF). In Ma'sara south of Bethlehem, IOF quelled the participants in the village's weekly march, injuring a number of them and causing others to suffocate with gas bombs. Activist Mahmoud Zawahra called for activating the role of the popular resistance and developing a strategic plan that aims to end the occupation. 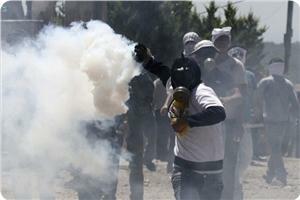 During the march of Nabi Saleh, dozens of citizens suffocated as the occupation forces fired tear gas grenades at them. The march, with the participation of foreign peace activists, started from the center of the village and headed towards the lands threatened with confiscation chanting slogans condemning the settlement activity and land grabbing. 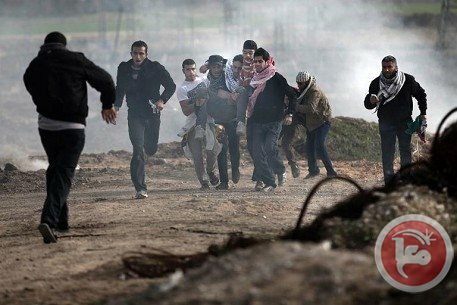 Two other citizens were injured by Israeli bullets in Bil'in, and dozens of others suffered suffocation during the IOF's suppression of their peaceful march. Eyewitnesses said that Israeli soldiers fired rubber-coated metal bullets and tear gas and stun grenades at the marchers upon their arrival to the liberated lands near the wall. In the village of Kafr Qaddoum, dozens of people, including an infant, suffocated while a press photographer was hit by a tear gas canister in the back during the quelling of the village's weekly demonstration. Meanwhile, a Palestinian young man was wounded by a rubber bullet in the head during violent clashes that erupted between dozens of youths and Israeli soldiers on Friday evening in the town of Silwad east of Ramallah. Eyewitnesses told PIC's correspondent that the young man was transferred to the health center in the town to receive treatment, and that the IOF intensively used rubber bullets and gas bombs to disperse the youths, who were heading to an Israeli army camp to the west of the town. PIC's reporter stated that the occupation forces tried to arrest the youths, who were throwing stones at the soldiers, injuring a number of them. In Bethlehem, Israeli troops fired poisonous gas bombs on civilian houses during clashes that erupted in the afternoon, causing dozens of citizens to suffocate. An Israeli radio report revealed that the Israeli army intends to strike Palestinian civilian targets during a possible military operation against the Gaza Strip, claiming the presence of Palestinian armed resistance fighters in civilian areas. Hebrew radio said on Friday: "according to information Israel has received, Hamas is continuing its preparations for a possible military confrontation with Israel in the Gaza Strip." Hebrew media reports stated that Hamas is preparing for a military confrontation with the Israeli army through installing cameras in different areas inside the Strip, in order to monitor the activities of the occupation forces on the borders of Gaza, in addition to setting up bases for the launch of rockets and stores for projectiles near mosques. According to the information, Hamas and the resistance factions are seeking to develop a network of underground tunnels that leads to the 1948 occupied territories, in order to carry out military operations against Israeli targets. 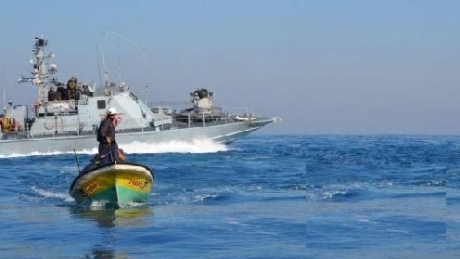 Israeli warships early Saturday fired at Palestinian fishing boats off the coast of Gaza City, fishermen told Ma'an. The fishermen said Israeli ships fired machine guns at them, and that many were forced to sail back to shore. An army spokeswoman told Ma'an that an Israeli navy soldier identified a Palestinian boat outside of its "designated fishing zone." After calling on the boat to stop, the Israeli ship "fired in its vicinity to halt the vessel's progress," the spokeswoman said. Then the ship returned to its "designated" area, she said. Palestinian fishermen are only allowed to go 3 nautical miles from Gaza's shore, even though Israeli-Palestinian agreements previously settled on 20 nautical miles. There are 4,000 fishermen in Gaza. According to a 2011 report by the International Committee of the Red Cross, 90 percent are poor, a 40 percent increase from 2008 resulting from Israeli limits on the fishing industry. 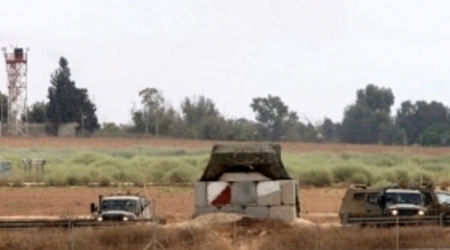 Israeli soldiers fired several shells, and rounds of live ammunition, into Palestinian farmlands east of the Al-Qarara town, northeast of Khan Younis in the southern part of the Gaza. Soldiers also opened fire at Palestinian fishing boats. Local sources have reported that the soldiers targeted several Palestinian residents, including farmers and workers, forcing the farmers out of their lands. On Friday evening, Israeli soldiers shot and killed one Palestinian, and wounded seven others, in Palestinian lands close to the border fence, in the coastal region. 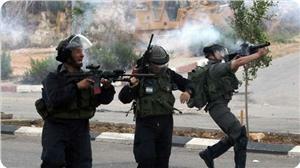 The slain Palestinian has been identified as Bilal Samer Oweidah, 20; he was shot by a live round to the chest. Oweidah succumbed to his wounds at the Kamal Adwan hospital. 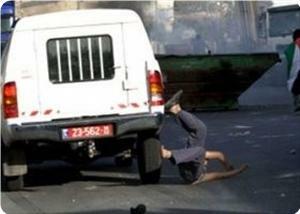 One of the wounded Palestinian suffered a moderate injury. Two Palestinians were injured and dozens suffered from excessive tear gas inhalation on Friday after Israeli forces dispersed a protest in the northern West Bank village of Bilin. Israeli forces fired tear gas, rubber-coated steel bullets, stun grenades, and live 0.22 inch caliber bullets at protesters as they neared their lands close to the wall during the weekly protest. Nimer Atta, 19, was shot with a 0.22 bullet in the foot and taken to Palestine Medical Complex in Ramallah, while Wael Burnat, 35, was shot in the hand. Protesters raised Palestinian flags and chanted songs for unity, and slogans in resistance against the Israeli occupation. An Israeli army spokeswoman said that a "riot erupted" in Bilin during which protesters "hurled rocks" at Israeli soldiers. She added that Israeli forces "used riot dispersal means" to confront protesters, and she confirmed that a protester had been hit after soldiers opened fire with .22 caliber bullets. One man was struck in the shoulder by a tear-gas canister and dozens suffered from excessive tear-gas inhalation after Israeli forces raided the village of Kafr Qaddum following a protest. Witnesses said Israeli forces fired tear gas into residential areas in the village as clashes broke out following the village's weekly protest, hitting one man and injuring dozens, including a 2-month-old infant. Photographer Jafar Shtayyah, meanwhile, was struck with a tear-gas canister fired by Israeli forces in the shoulder. 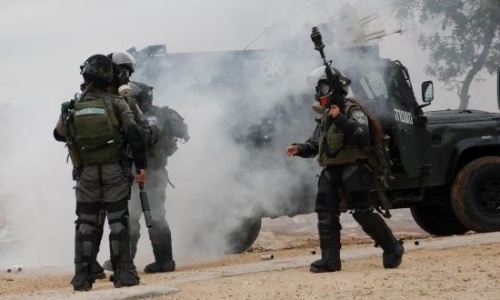 Coordinator for the local popular resistance committee Murad Shtewi said that Israeli forces fired over 10 tear-gas canisters toward his house, causing his family to suffer from the tear-gas inhalation. Among those affected by the use of excessive tear gas was his 2-month old daughter, Bisan. An Israeli spokeswoman said she was not familiar with the incident. Israeli forces shot dead one Palestinian and injured another on Friday during a protest east of Jabaliya in the northern Gaza Strip. Spokesman for the Gaza Ministry of Health Ashraf al-Qidra, said that 20-year-old Bilal Samer Oweidah died after being shot dead in the chest by Israeli forces near the border. Owiedah was among a group of Palestinians who had gathered near the border to protest the buffer zone imposed by Israel, al-Qidra said. Another Palestinian was moderately injured when Israeli forces opened fire on the protesters, he said. Locals said that Oweidah was taken to Kamal Adwan Hospital, where he was pronounced dead. Dozens of Palestinians suffered from excessive tear gas inhalation after Israeli forces raided a village in the southern West Bank late Thursday, a popular committee spokesman said. After entering Beit Ummar, Israeli forces fired rubber-coated steel bullets, stun grenades, and tear gas during clashes with Palestinians, Muhammad Ayyad told Ma'an. He said the clashes lasted two hours. Additionally, 22-year-old Ahmad Ali Ayyad Awad was detained by Israeli soldiers on his way to work, Ayyad said. Awad previously spent two years in Israeli prisons. Coordinator of Popular Committee to Resist Wall and Settlements in Yatta, Rateb al-Jbour, said that settlers, under the protection of Israeli forces, Friday assaulted a number of Palestinians from Um al-Khair village east of Yatta in Hebron governorate. The settlers severely beat a woman, identified as Maleeha al-Hathaleen, 57, and a young man Bilal al-Hathaleen, while they were heading to their sheep barn in the village, causing them several bruises. Al-Jbour condemned these brutal measures the settlers and Israeli forces are committing against the Palestinians in these areas, stressing that such measures aim at deporting the Palestinians from their land. Al-Jbour called on human rights and international institutions to intervene to put an end to these aggressive acts against the Palestinians. [Thursday Evening, January 23, 2014] A number of Israeli military vehicles, stationed across the border fence with Gaza, fired dozens of rounds of live ammunition into Palestinian agricultural lands and homes east of Abasan As-Sagheera town, southeast of the southern Gaza Strip district of Khan Younis. Eyewitnesses said several military vehicles, advanced towards the Sreij Gate, east of Abasan As-Sagheera, opening fire at random; no injuries were reported. The soldiers also fired rounds of live ammunition into the Faraheen neighborhood and the Al-Qarara, east of Khan Younis; damage was reported but no injuries. Israeli war jets and drones were seen flying over several areas in the besieged and impoverished coastal region. Israeli soldiers repeatedly open fire into Palestinians areas, including farmlands and homes close to the border fence encircling the area. Dozens of casualties have been reported among the residents, including children, farmers, and workers. Israeli restrictions imposed on Gaza deny the residents access to their own lands and property close to the border fence area. 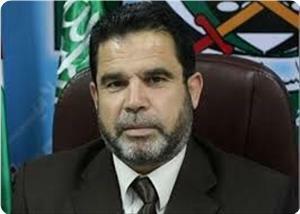 Hamas leader Dr. Salah Al-Bardawil has charged that Arab silence and US support were providing Israel with a cover to attack the Gaza Strip. He warned in a statement on Thursday of a new Israeli aggression on the besieged enclave, ruling out, however, a large-scale invasion of the Strip. The Israeli occupation authorities have no ethics and could launch aggression any time, he said, adding that resistance would not stand idle and would confront any attack. 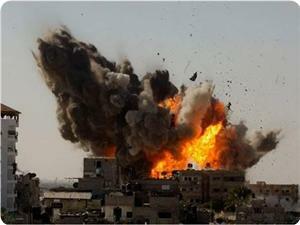 Israeli occupation forces killed two resistance fighters on Tuesday in an air strike. The attack was understood by the resistance as a fresh military escalation against it. Bardawil said that contacts with Egyptian intelligence did not stop, adding that Cairo refuses any aggression on Gaza. He said that Egypt conveyed Israeli allegation to the resistance in Gaza that individual breaches of the calm agreement were taking place, adding that Israel was not in need for excuses to launch aggression on Gaza. Two Palestinians were injured by rubber-coated metal bullets and several others suffered suffocation injuries due to tear gas inhalation during clashes that erupted on Wednesday, with the Israeli forces in Aida refugee camp, north of Bethlehem. Local sources said that IOF soldiers, stationed at the Israeli watchtower at Rachel's Tomb area near the camp, fired tear gas canisters and rubber-coated bullets toward the camp, injuring several Palestinians. A Jewish settler ran over a pregnant woman on the main street in Hawara village, south of Nablus, on Wednesday. Abdulkarim Abu Shehada, the husband of the woman, said that his wife Wijdan, 39, who is in her 8th month of pregnancy, was run over while trying to cross the main street in the village. He charged the settler with over speeding in a street that was not designed for such high speed. He said that his wife suffered bruises and cuts all over her body and was transferred to a hospital in Nablus where her condition was described as moderate. 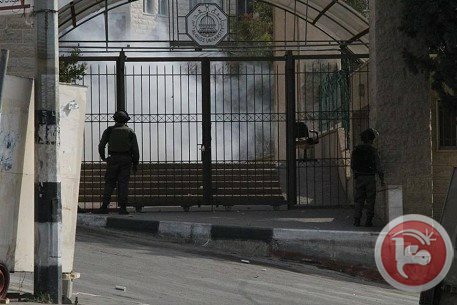 The Palestinian Ministry of Higher Education on Wednesday strongly condemned an Israeli raid on Al-Quds University campus in Abu Dis in which dozens of students suffered tear gas inhalation and university property was damaged. The PA ministry denounced the attack as "desecrating the sanctity of the institution, obstructing the educational process," and "intentionally horrifying thousands of students and staff members by utilizing all terrorist means including random heavy firing." The raid on Wednesday was part of a "continuous and systematic context of violations against the Palestinian institutions in Jerusalem, including the educational institutions and their cadres," a statement added. These violations aim to challenge the Palestinian presence in occupied East Jerusalem and push Palestinian society towards ignorance and poverty, the ministry said. The raid on the university campus is "military aggression" which is in contravention of international norms which stress for educational institutions to remain neutral. Israeli forces raided the Abu Dis campus on Wednesday and fired tear gas and rubber bullets at students, preventing them from leaving the area. A popular committee spokesman told Ma'an that over 100 Palestinians, including university students, faculty, and staff, suffered from excessive tear gas inhalation, while witnesses said the escalation was the most severe in years. The Abu Dis campus of Al-Quds University was the site of frequent raids in 2013, often leading to closures and delays in lectures. Israeli military forces opened fire towards a jeep of Palestinian security service patrols at Khuza'a, east of Khan Yunis in southern Gaza Strip. 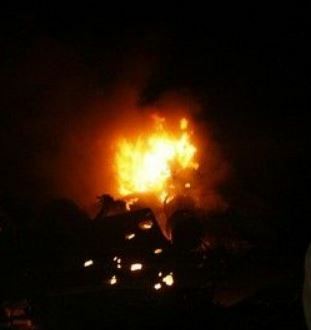 ALRAY correspondent said that the fires hit the jeep directly causing material damages, but no injuries were reported. He pointed to active movements of Israeli military vehicles on the border areas east of Khan Younis, noting that a number of Israeli soldiers patrol neared the fence. Israeli soldiers invaded the West Bank districts of Hebron and Bethlehem, kidnapping eight Palestinians after breaking into their homes and violently searching them. Local sources in Hebron, in the southern part of the occupied West Bank, said that dozens of soldiers invaded Beit Awwa town, nearby, searched several homes and kidnapped Wajdan Reziq Masalma, 18. 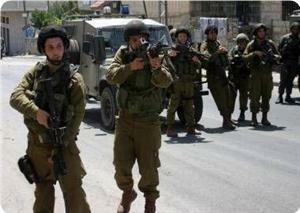 The soldiers also invaded Hebron city, and kidnapped Amer Mohammad Al-Oweiwy, 27. 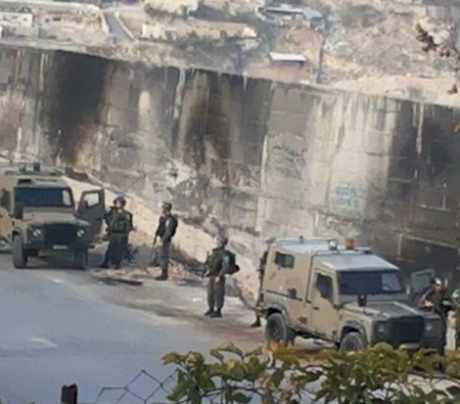 Furthermore, dozens of soldiers also invaded the Tabaqa village, and the communities of Namous and ‘Arqan Awad in Doura, near Hebron, and violently searched several homes. In addition, soldiers invaded the West Bank district of Bethlehem, kidnapping five Palestinians in Beit Fajjar town, and one in Doha city. Media sources in Beit Fajjar said that the soldiers kidnapped Yousef Khaled Thawabta, Nael Naim Al-Mashny, Ismael Ali Deeriyya, Nabil Hasan Taqatqa and Amer Khalil Sabah. The soldiers also broke into the home of Majed Omar Taqatqa in an attempt to kidnap his son, Mahdy, but he was not at home during the invasion. In Doha town, south of Bethlehem, the soldiers broke into the home of Firas Odeh, searched the property, and kidnapped him. The invasion led to clashes between dozens of youth and the invading soldiers. The Israeli occupation forces (IOF) stormed on Tuesday evening Misalya village, south of Jenin, and fired gas bombs at citizens. Eyewitnesses told PIC's correspondent that three armored military vehicles stormed the town, and fired tear gas grenades at local youths, who hurled stones at them. Dozens of citizens suffocated from gas inhalation. 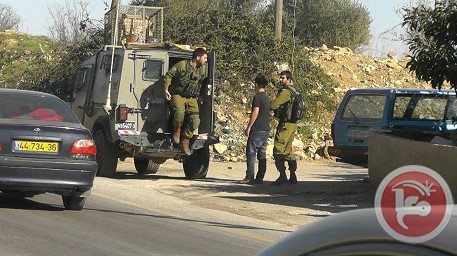 Meanwhile, a number of soldiers installed a roadblock at the Jenin-Jaffa road, close to the Salem Israeli military base, where they detained three Palestinians and interrogated them. Locals said the soldiers stopped and searched dozens of vehicles at the roadblock on Tuesday night, and checked identities of the citizens. The soldiers have also kidnapped a Palestinian citizen after detaining and interrogating him at the roadblock for more than an hour. The kidnapped Palestinian has been identified as Mahmoud Jamal Mahameed, aged 27, from Rommana village, near Jenin. 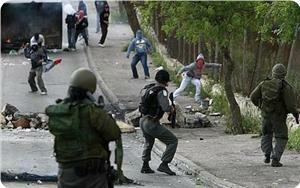 The IOF, at dawn Wednesday, stormed the city of Jenin and its refugee camp, and erected roadblocks and ambushes. 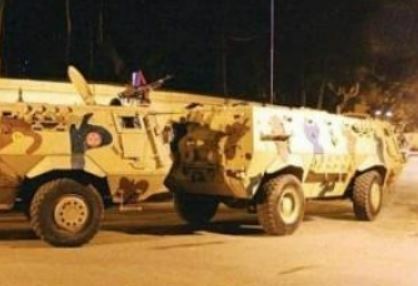 Local sources said that several military vehicles, stationed in the main street of the city, erected a checkpoint on the Battikha roundabout and started sweeps in the region. 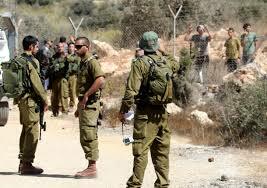 They added that the occupation forces raided the eastern towns of Jenin and searched some greenhouses in the area. 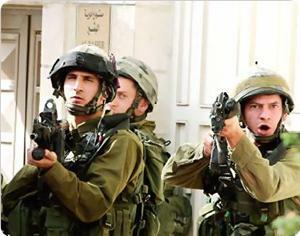 Israeli soldiers invaded, on Wednesday [January 22, 2014], the town of Beit Forik, east of the northern West Bank city of Nablus, and clashed with local youth, wounding two Palestinians. 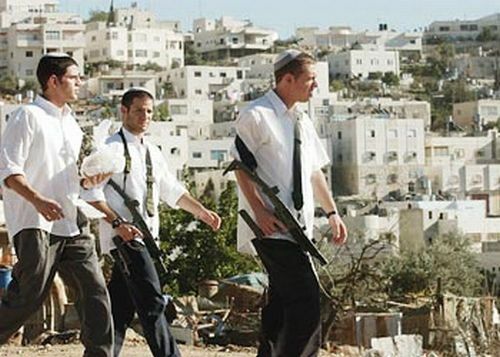 The invasion came after Israeli settlers attacked homes and lands which belong to the villagers. Baladna Radio has reported that the soldiers fired rounds of live ammunition, rubber-coated bullets and gas bombs, leading to two injuries. Medical sources said that resident Mahmoud Mleitat, 20, was shot by a live round in the back, while resident Rashad Nimir, 21, was shot in the arm. They suffered mild-to-moderate injuries and were moved to a local hospital. 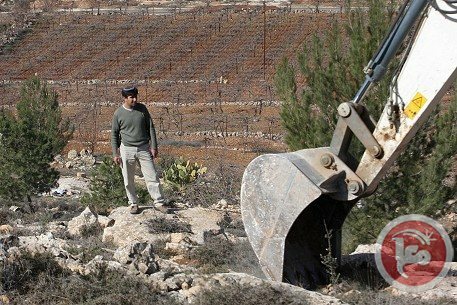 Furthermore, Ghassan Daghlas, a Palestinian official in charge of Israeli settlements files at the Palestinian Authority, in the northern part of the West Bank, has reported that a number of fanatic Israeli settlers, of the Itamar illegal settlement, stormed the al-Jadou’ area east of the village, earlier on Wednesday, attacking Palestinian houses and property. The attack led to clashes between local youth and the settlers, Daghlas added. Palestinian medical sources have reported that dozens of students have been injured at Al-Quds University, in Abu Dis town of occupied East Jerusalem, after dozens of Israeli soldiers invaded it. The sources said that scores of students have been treated for the effects of tear gas inhalation, while others were shot with rubber-coated metal bullets. Hani Halabiyya, spokesperson of the Popular Committee against the Wall and Settlements in Abu Dis, stated that clashes took place between dozens of students and soldiers after the army invaded the university campus to close a gap in a section of the Annexation Wall, in the area. Halabiyya said that soldiers fired bas bombs, concussion grenades, firebombs and rubber-coated metal bullets. Some of the wounded students received treatment by local medics, while others were moved to a local clinic. The Israeli invasion led to property damage in a number of buildings belonging to the university. The army also surrounded the campus, blocking Palestinian traffic. Palestinian medical sources have reported that that a Palestinian child suffered serious injuries after a bomb, dropped by Israeli soldiers during training, exploded in his hands, in the Jordan Valley. The sources said that the child, 12 years of age, found the bomb, and carried it not knowing what it is, and that the bomb detonated in his hands. The child was moved to a local hospital suffering life-threatening injuries. In February of last year, a Palestinian child was killed and three other children were injured, in two separate incidents, when un-exploded Israeli military bombs detonated near them, in northern Gaza. In November of 2012, a five-year old Palestinian child suffered head injuries and died of his wounds, in a similar incident which took place in Khan Younis, in the southern part of the Gaza Strip. Earlier the same month, three children, between the ages of three and five, were seriously injured when an explosive device left by the Israeli army detonated near them in the town of Beit Hanoun, in northern Gaza. Dozens of Palestinians, including children, workers and shepherds, have been wounded, with many killed, due to undetonated explosives dropped by the Israeli army during its repeated wars on Gaza, as well as explosives dropped by the army during training near Palestinian communities in the occupied West Bank, especially in the Jordan Valley and Northern Plains. Palestinian medical sources have reported that Israeli soldiers assassinated two Palestinian fighters on Tuesday night, after midnight, in Beit Hanoun town, in the northern part of the Gaza Strip. The sources said that an Israeli drone fired a missile at a Palestinian car driving on Sikka Street, killing two fighters identified as Ahmad Mohammad Za’aneen, 21, and his cousin, Mohammad Yousef Za’aneen, 22. The bodies of the slain Palestinians were severely mutilated due to the attack; their remains were moved to the Kamal Adwan hospital in Beit Lahia nearby town. Eyewitnesses said Israeli drones could still be heard flying over different parts of the besieged coastal region, causing panic among the residents. The assassination of the two fighters comes only two days after the army assassinated Ahmad Sa’ad, of the Al-Quds Brigades, the armed wing of the Islamic Jihad. Two Palestinian resistance fighters were killed in Beit Hanun, north of the Gaza Strip, after midnight Tuesday in an Israeli air strike. Medical sources told the PIC reporter that an Israeli reconnaissance plane bombed a civilian car in Sikka street in Beit Hanun town killing Ahmed Al-Za’anin and his cousin Mohammed Al-Za'anin. The reporter said that rescue and ambulance teams rushed to the scene and evacuated the scattered remains of both fighters. He reported a rising state of anger among inhabitants in the Strip as a result of the Israeli military escalation that came only few hours after Israeli premier Benjamin Netanyahu’s threats to Gaza. Israeli occupation forces assassinated Ahmed Saad, a fighter affiliated with Quds Brigades the armed wing of Islamic Jihad movement, also in northern Gaza a couple of days earlier. A Palestinian young man was wounded with a rubber bullet in Aida refugee camp, north of Bethlehem, in confrontations with Israeli occupation forces (IOF) afternoon Tuesday. Eyewitnesses told the PIC reporter that IOF soldiers opened indiscriminate fire at Palestinian homes in the refugee camp hitting 25-year-old Mohammed Al-Azraq in his head with a rubber-coated bullet. They said that the youth was transferred to Beit Jala hospital with no word about his condition. A number of citizens fainted while others were treated for gas inhalation after the IOF soldiers fired teargas canisters inside the camp, the witnesses said, adding that all cases were treated on the field. Israeli soldiers shot and injured a young Palestinian man in the Aida refugee camp, north of the West Bank city of Bethlehem, medical sources said. The sources added that the soldiers fired dozens of rubber-coated metal bullets at a number of homes in the camp, wounding in the head Mohammad Al-Azraq, 25 years of age. 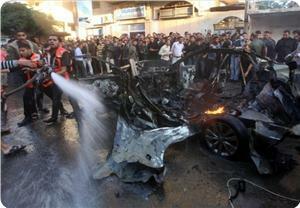 He was moved to the Beit Jala Governmental Hospital, in the city, suffering a moderate injury. Several Palestinians received treatment for the effects of tear gas inhalation after the army fired dozens of gas bombs during clashes which took place between the invading soldiers and local youth, who hurled stones and empty bottles at them. 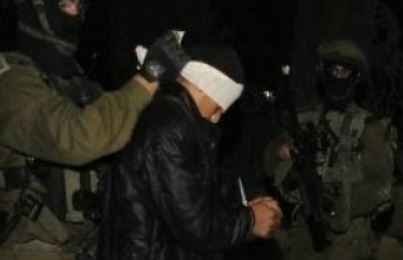 On Saturday, January 21, 2014, soldiers kidnapped five Palestinians, in Aida camp, and took them to an interrogation facility. Local sources said that dozens of soldiers stormed the camp while firing sound bombs and rubber-coated metal bullets, kidnapping five Palestinians. Israeli soldiers conduct daily invasions and arrests targeting Palestinian cities, towns, villages and refugee camps in different parts of the occupied territories.